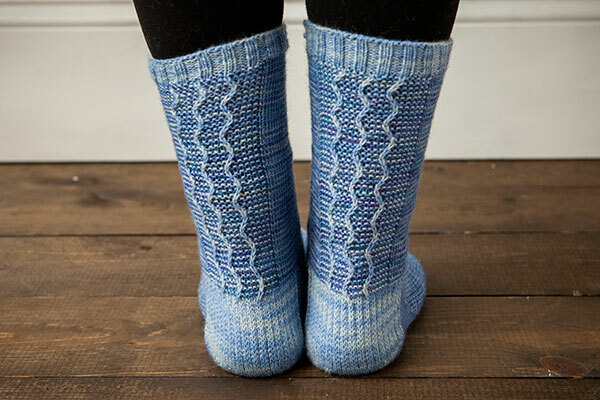 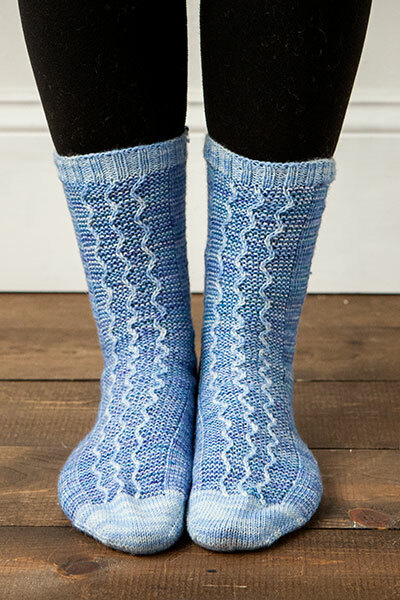 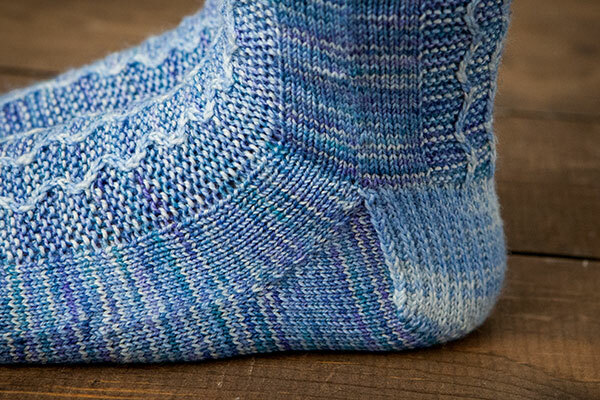 Bakewell are toe up using a Turkish cast on, with a short row heel. 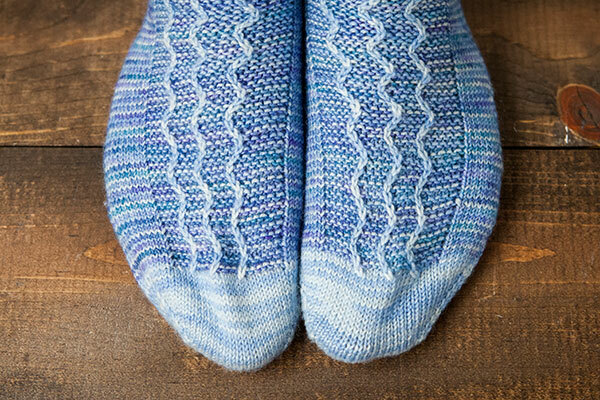 Toe, heel, and cuff is worked in one color, with rest of sock alternating between two colors, working one color at a time. 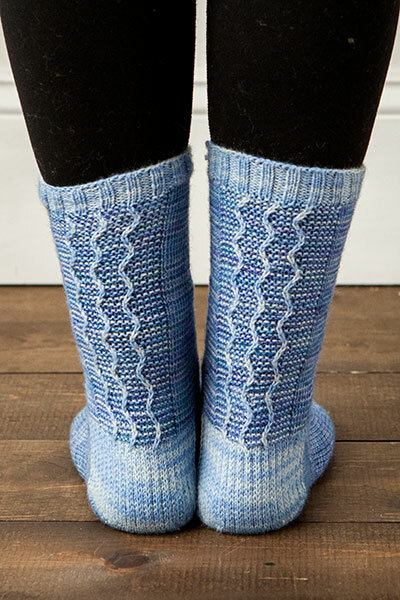 Left and right socks are mirrored.